Explain anything in 10 seconds in Slack. Here are different options to do it and also a walkthrough video. Other option: Use our 'Share to' buttons to send your annotation to your favorite app. 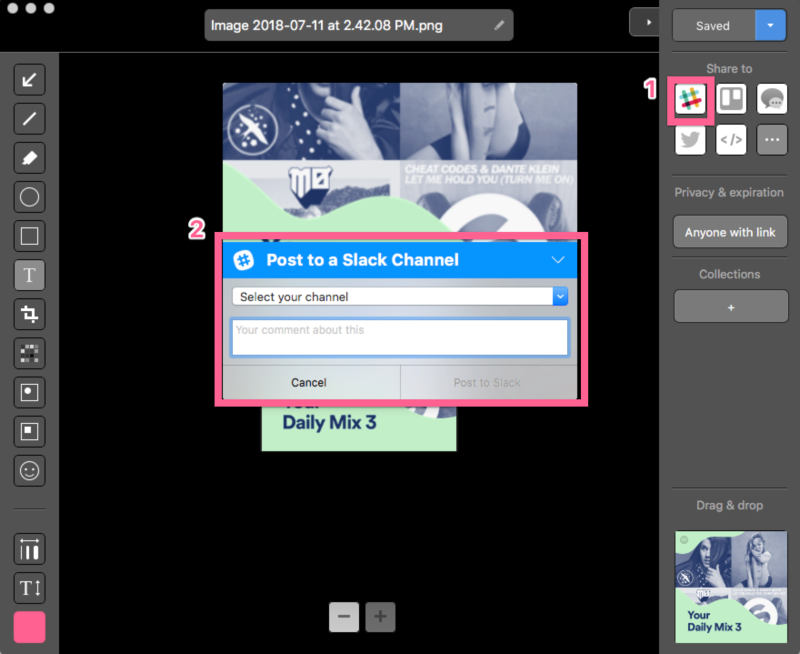 If you haven't done it before, you will be prompted to enable our Slack integration first. I recorded a quick video to show you all the steps I mentioned above. If you have any question, don't hesitate to leave a comment below.